Round The Clock - At Your Service for Airport Transfers Always on Time. 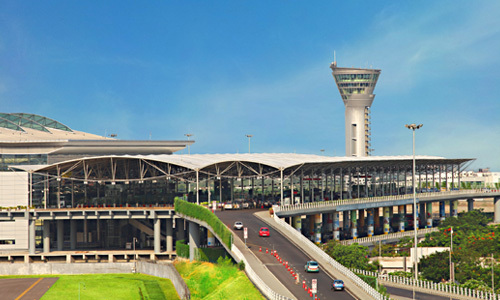 We provide the Best Taxi Tariff for Airport transfers Prepaid Airport Taxi Cab Srvice from (RGIA) Hyderabad Airport we provide 24/7 Prepaid Taxi and no extra charges at night time and safest prepaid cabs in Hyderabad we are the best taxi providers in Rajiv Gandhi International Airport Hyderabad. prepaid taxi hyderabad airport prepaid taxi hyderabad airport to gachibowli prepaid taxi rates hyderabad airport prepaid taxi from hyderabad airport to secunderabad railway station prepaid taxi fare in hyderabad airport prepaid taxi counter at hyderabad airport hyderabad airport prepaid taxi charges prepaid taxi at rajiv gandhi international airport hyderabad prepaid taxi at hyderabad airport prepaid taxi at hyderabad international airport hyderabad domestic airport prepaid taxi prepaid taxi from hyderabad airport prepaid taxi in hyderabad airport hyderabad airport prepaid taxi rates prepaid taxi service hyderabad airport prepaid taxi to hyderabad airport Prepaid Taxi in Hyderabad Airport Cabs in Hyderabad-Book Ova Cabs Airport Service for best Airport Cabs in Hyderabad/Airport taxi in Hyderabad.Ova Cabs offer Reliable and Best Cabs for Airport pickup and drop in Hyderabad.Hire airport taxi hyderabad at cheapest rates.Get Ova Cabs in Hyderabad for Airport transfer, railway station & Local taxi needs. Hire ovacabs for best Cab services in Hyderabad. Call Airport Taxi Cab Services in Hyderabad with Ova Cabs Hyderabad Airport Cabs in Hyderabad airport taxi cabs hyderabad hyderabad, telangana. Airport Cabs in Hyderabad are now very simple to get access from any where in Hyderabad or Secunderabad . Ova Airport Cabs Hyderabad offer very cheap and best cabs for airport pickup & drop in Hyderabad which any one can afford. Affordable Airport cabs @ Rs.500/-Get lowest Cabs fares in hyderabad by Ova Airport cabs for Airport cabs & taxi service in hyderabad. Ova cabs tariff in hyderabad with its excellent on time service and no hesitation with our Drivers makes it the Best cab for Airport drop. Ova Cabs Hyderabad is one of the cheapest Cabs Service for Hyderabad. Hyderabad Taxi/cab users can book there cab Ova Airport cabs in Hyderabad now through online or over the phone - (040) 2299 2299. Ova Airport Cabs Hyderabad offers a range of cabs- Indica, Swift Dzire, Chevrolet Enjoy, Mahindra Xylo and Toyota Innova cabs both AC and non AC. You can choose as your comfort. Airport cabs in Hyderabad, as per your requirement. No extra charges or Hidden Charges for Airport Tranfers at night. Airport Drop cabs in Hyderabd 25% cheaper then other Cabs in Hyderabad, Airport Cabs Hyderabad @550/- * only. Booking can be done on advance - more than one day or one month. No Extra charges for extra luggage for Airport Taxi users. Ova Airport Cabs Hyderabad's cab drivers are professionally trained and well behaved. Our taxis are available all across Hyderabad/Secundrabad. We believe in giving the best & Affordable cab service to our Hyderabad cab users. Our cabs are always just an call away.you can choose any pick up or drop point of Hyderabad or Secunderabad Cabs in Hyderabad. Always prefer Ova Airport Cabs Hyderabad for afforadable and comfortable ride of cabs in Hyderabad/,book Ova Cabs Hyderabad. Pay using your Paytm wallet. Pay using your Internet Banking. For the safety of passengers, all Airport Taxis are fitted with GPS/GPRS tracking system Airport Taxi driver has an official ID issued by Telangana City Police (Traffic). Well trained English / Hindi / Local language speaking drivers.glish / Hindi / Local language speaking drivers. Affordable Pricing & Service Available round the clock .